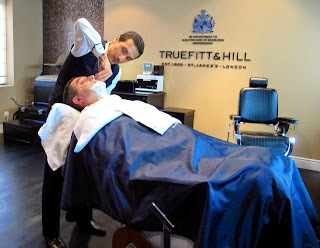 AFTER fellow travel writer Roderick Eime left us more than a tad envious about some pampering that included an old-fashioned barber shop wet shave in Kuala Lumpur's lovingly-restored Majestic Hotel, we asked him if he'd share with readers his delightful experiences in this hotel from an era past. I dare not move. My head rests reassuringly against the comfortable leather while, out of the corner of my eye, I can see the blade being sharpened to a samurai keenness. Then, with a deft hand it's applied to my throat and drawn upward in a slick motion that removes only the offending follicles. The Truefitt & Hill salon and barber shop in the newly restored and re-opened Majestic Hotel is just a part of the total renaissance experience offered at this delightfully retro hotel. 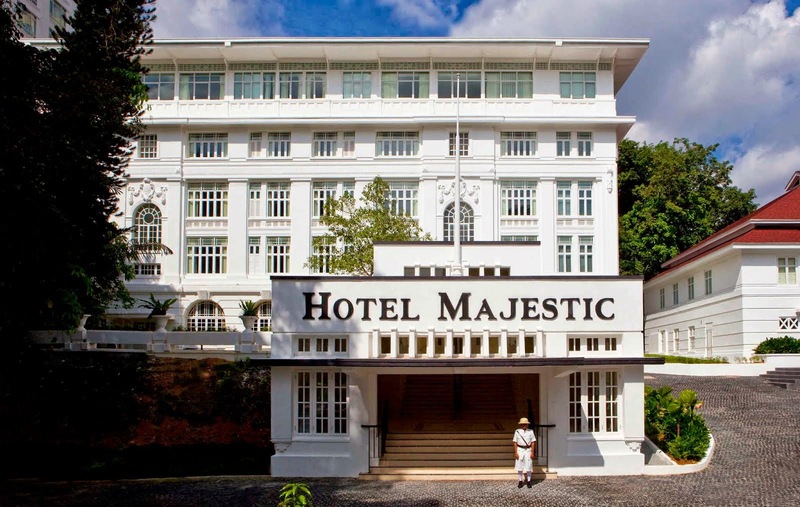 Butlers, barbers, barmen and chauffeurs, all make up the team at guest's beck-and-call when staying in one of the 47 classic colonial-style suites in the aptly-named 'Majestic Wing'. But it's not just all about nostalgia and pre-war throwbacks to empire. This hotel is a clever mix of old and new, with 300 modern rooms in a totally new-build section, The Tower Wing that looms above the whitewashed walls of the original that opened its doors in August 1932. The neo-classical/art deco Majestic has been through several incarnations in its 80 year life. 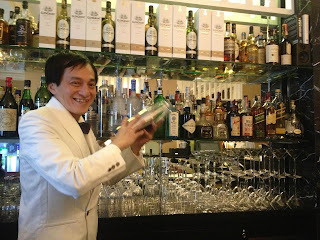 During its '30s heyday it catered to European guests and the local well-to-do with traditions like the 'Tea Dance' and 'Dinner Dance,' with even the rooftop garden having a dance floor for 350 guests. And its inclusions such as hot and cold water, showers and flush toilets were firsts for the fledgling Malayan hospitality industry. 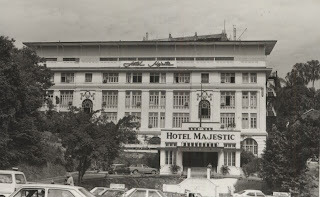 The hotel resumed duties as normal in 1945, but struggled to reclaim its place as KL's pinnacle of style and grandeur. 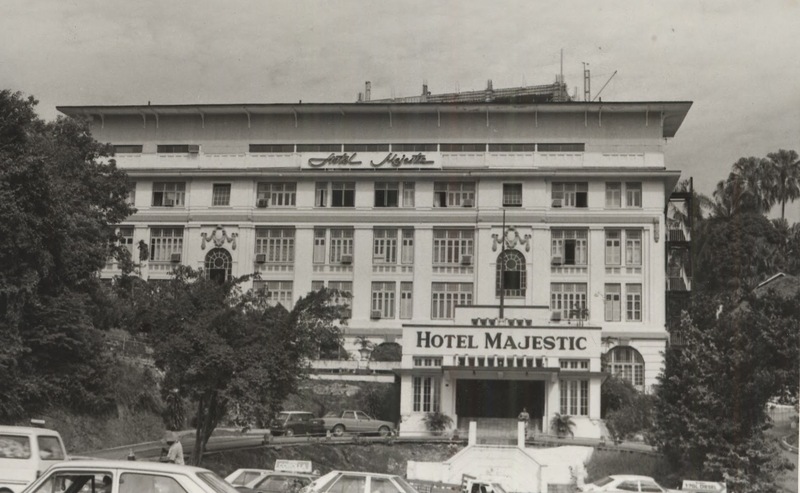 And by 1957, when the newly independent Malaysia came into being, The Majestic was falling into disrepair and in 1977 it was almost lost for all time when a 22-storey high rise was planned for the site. The new government, however, stepped in and eventually acquired the building in 1983, giving it heritage listing and turning it into Malaysia's National Art Gallery. YTL Hotels meanwhile was also negotiating with the government and finally received approval to redevelop the hotel under strict observance to heritage conditions, reopening it in December 2012. The painstakingly revived and exquisitely neoclassical Majestic Wing is the pièce de résistance of the hotel and a tribute to the lifestyle of the 1930s and jazz era. 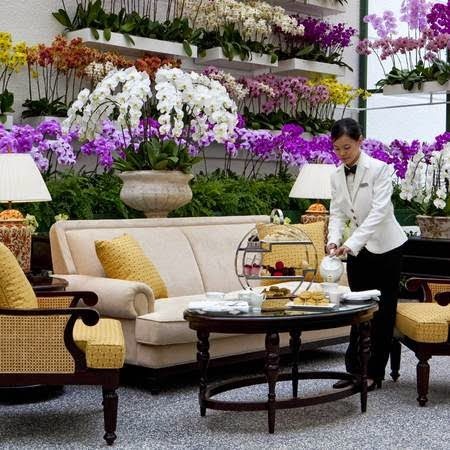 A quartet entertains daily in The Bar, its strains also being heard in the Tea Lounge, the Orchid Conservatory and the Colonial Café where sumptuous high teas are served. Adjacent to the original hilltop entrance is the Majestic Spa, while in The Smokehouse you'll find Johnny, a barman's barman who knows every cocktail ever devised. And here gentlemen may partake in cigars while playing billiards and sipping fine single malts – the only concession to contemporary values being they may now do so in the company of ladies. Before I turn in for the night, I put my shoes out for a polish, hang a shirt to be pressed and send my English breakfast order down to Lynn, the impeccably stylish Assistant Manager who supervises all aspects of the Majestic Wing. 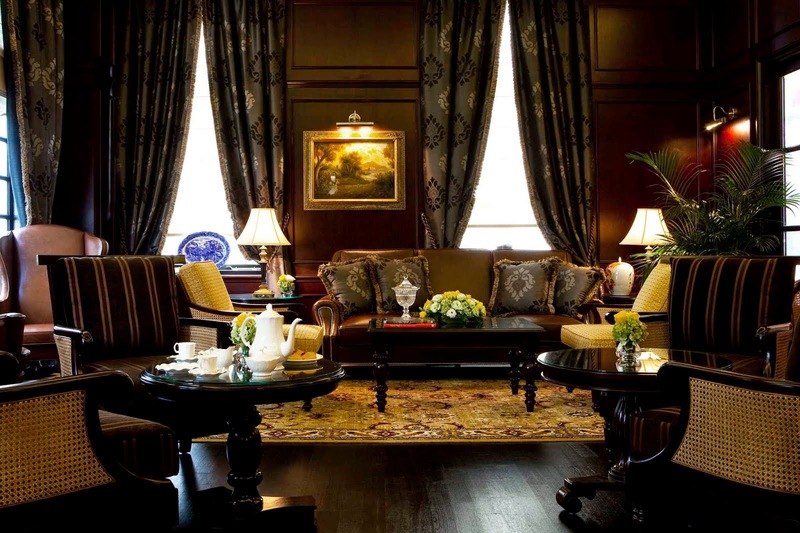 I could have my butler, Jay run a bath or turn my quilt should I desire it, but I'm content with a wake-up call to enjoy that English breakfast in my adjoining parlour before tackling the rigours of KL's retail domain. And that reminds me, I'll need a chauffeur for that. A TOUCH of class with Afternoon Tea in the Hotel Majestic's Orchid Observatory. GUESTS in the Majestic Wing suites enjoy their own individual Drawing Rooms.